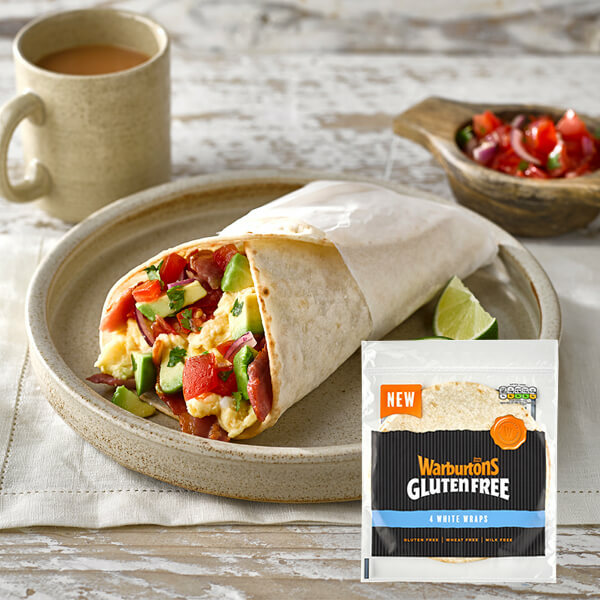 Our beetroot wraps are a vibrant twist on a classic wrap, great for breakfast, lunch and dinner. Water, Rice Flour, Tapioca Starch, Beetroot (9%) (Dehydrated Beetroot, Anti-Caking Agent: E551); Fruit Extract (Carob and Apple), Stabilisers: Xanthan Gum, E464, Rapeseed Oil, Humeclant: Vegetable Glycerine; Cornflour, Pea Protein, Preservatives: Potassium Sorbate, Calcium Propionate; Salt, Emulisfier: E481; Natural Flavouring, Flour Treatment Agent: E920 (Vegetarian). Made in a bakery that uses Egg. No ratings yet. Why not leave a rating below? Soft and tasty, our new white wraps are perfect for lunch boxes and are a source of fibre too.